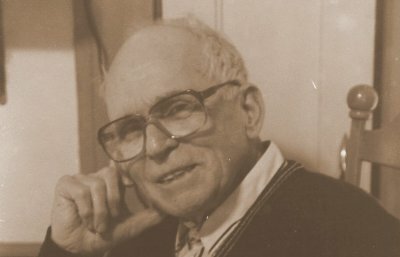 Clifford S. Wrigley (1922-2004) was an artist, teacher, and researcher who was passionately interested in the history of the origins of the present day towns of North Andover, Andover, and South Lawrence. In 1991 and again in 1993, he self-published two books outlining his research and conclusions about the original town of Andover (now North Andover, Andover and Lawrence) which were supporting documents for his public slide presentation on the topic. 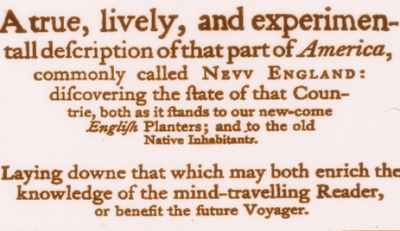 Wrigley’s thesis was that the town was settled in 1629 not 1646, the official incorporation date on Andover’s Town Seal. His interest in the founding date was inspired by the town’s 350th anniversary which was celebrated in 1996. If the 1629 date was accurate, the town was, he believed, marking the incorrect date. 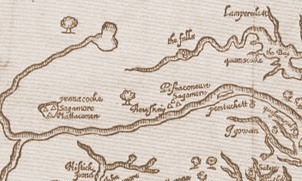 Clifford Wrigley was determined that his alternative theory of the origins of the towns of North Andover and Andover be continued and shared. In his will, he bequeathed a portion of his estate to the North Andover Historical Society, Andover Historical Society, and Lawrence History Center. It was his hope that they would pursue his “discovery," and publish the results. This website was created to host Wrigley’s research as presented in his original formats. Also included is the further research conducted by the North Andover Historical Society. This website was developed and is hosted by the Andover Historical Society. Many thanks to North Andover Historical Society Director Carol Majahad and Curator of Research & Archival Materials Inga Larson for their investigation and insights into Clifford Wrigley's "Hitherto Undiscovered Truth."